The Speedy Arrow design is fresh and contemporary with high end finishes of Hyper Silver and Piano Black. The Speedy Arrow design is fresh and contemporary with high end finishes of Hyper Silver and Piano Black being highlighted and accentuated by a stylish bright machined band line, running around the outer circumference of the wheel centre. 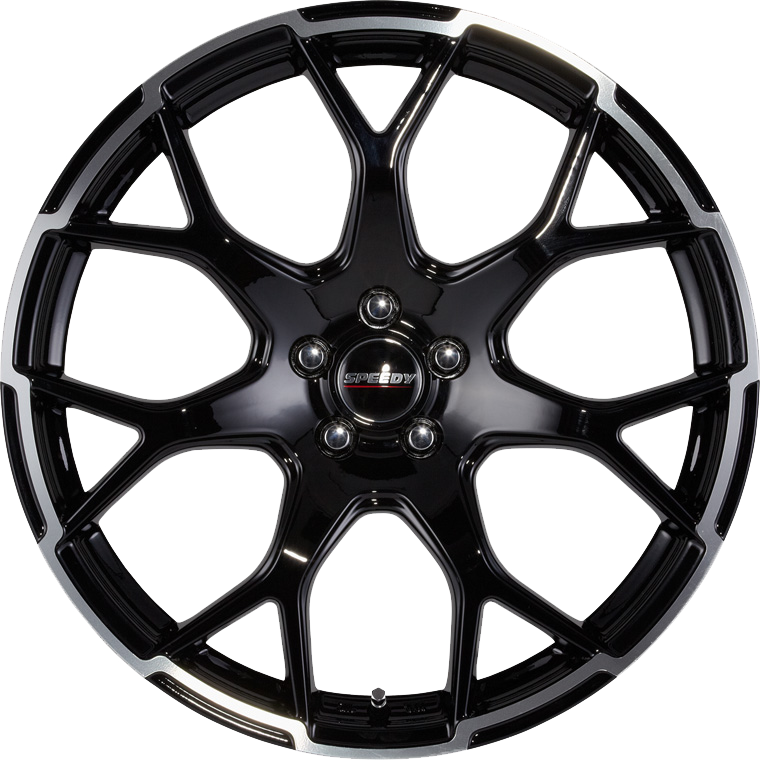 Available in sizes 16 x 6.5 and 18 x 7.0 in 4 and 5 lug fitments, Arrow is ideally suited to small FWD cars requiring a high wheel offset specification.